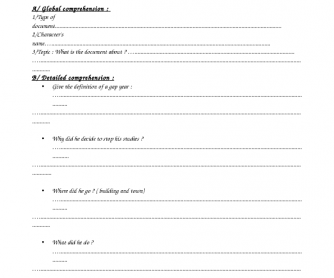 Listening Comprehension: Why Take a Gap Year? 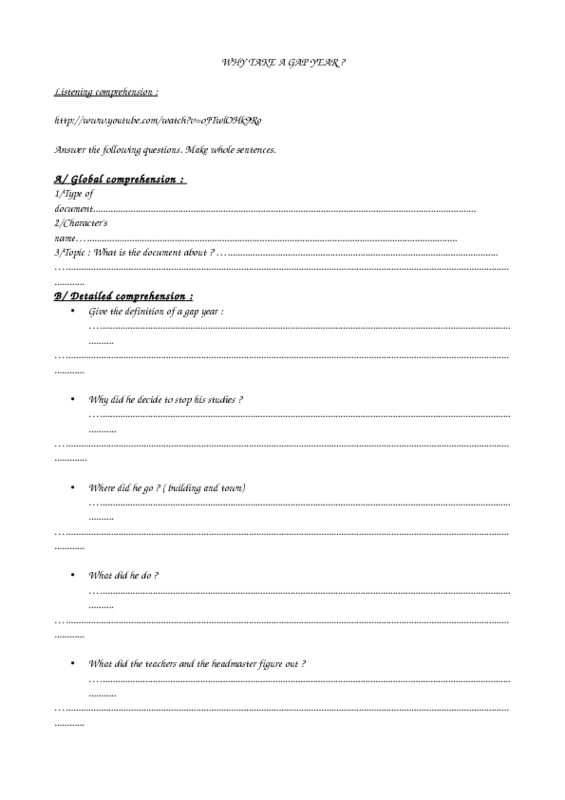 This worksheet is composed of three parts: in the first one, the students must answer the questions about the global comprehension. In the second one, they must answer questions as well but more precisely ( detailed comprehension). In the third part, they must sum up the content of the video in French. It's up to you to decide to adapt the third part to your own language. Key answers are also submitted.